The 2CL-8 can be optioned with load scales to accurately weigh your materials. Hydraulic water pumps are also available to deliver water for quicker load times. 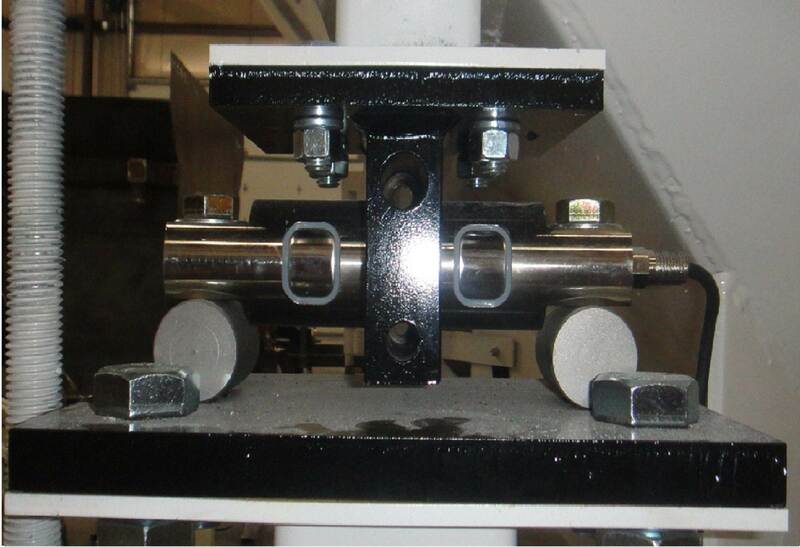 A three position option allows three mixers to be placed in a semi circle for rapid filling. The 7SL-80 or 7SL-120 silos are good choices to use with the 2CL-8. The 2CL-8 will free you from the time, distance, and schedule limitations of third-party concrete plants. 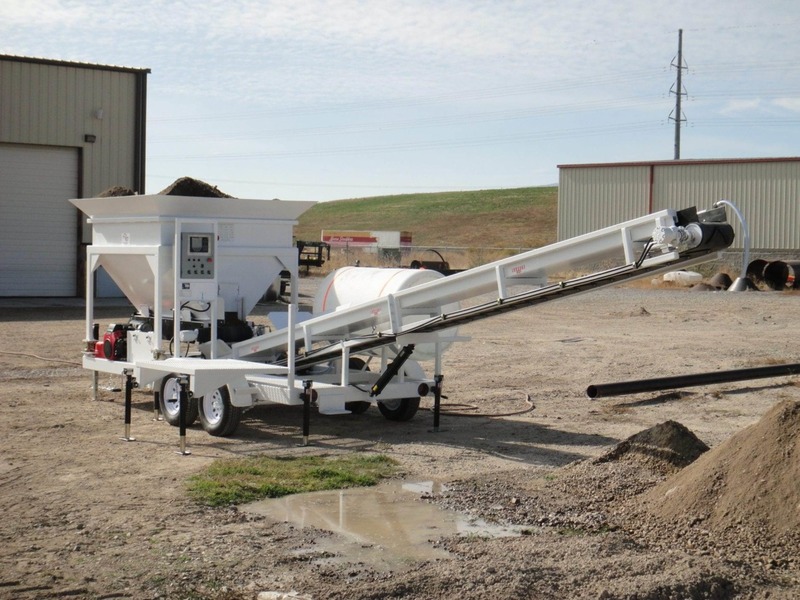 The 2CL-8 will load your specific concrete recipe how, when, and where you want it. 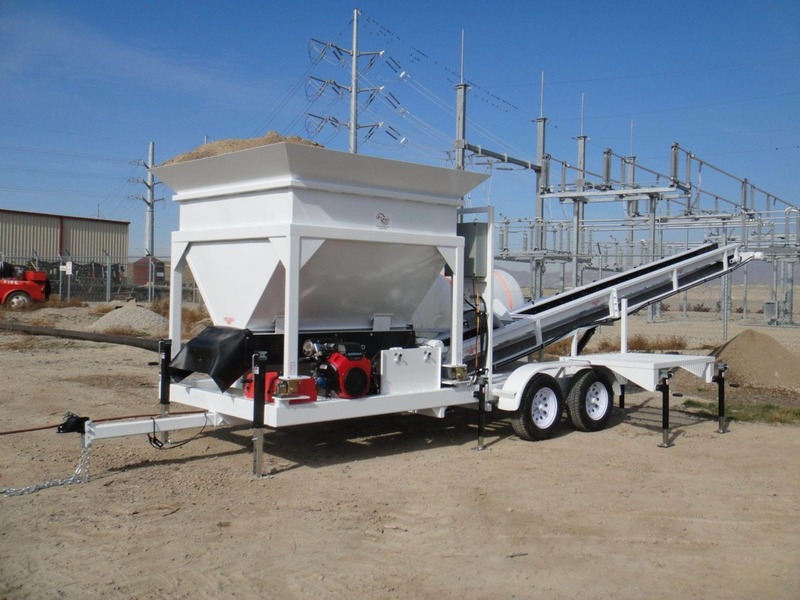 The 2CL-8 is designed to load the 2DH Portable Concrete Mixer. Contact us for information about our larger 12 cubic yard model that are also available. The automated 2CL-8-2 with double bin and Auto Controls is available as an upgraded alternative model. Sand, Gravel, and Water are measured automatically. The water meter measures exact water readings for yardage control. Cement is loaded into the mixer with a silo or directly onto the belt with the standard bag breaker. Print tickets are available with this model. This machine is more accurate where spec concrete is required.